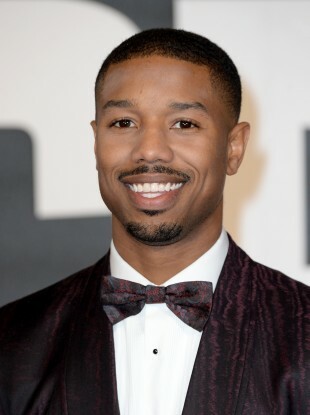 Michael B. Jordan plays the lead role in Creed but failed to get a nomination. FOR THE SECOND year in a row, #OscarsSoWhite has been trending following the nominations for this year’s Academy Awards. In the four main acting categories, there are 20 nominees, all of whom are white. This is the same as last year and people have been venting their frustration at the lack of diversity in the Oscars shortlist. There are some snubs that people are considering to be particularly telling. Creed, for example, has two black actors in lead roles, Michael B. Jordan and Tessa Thompson. The film also has an African-American director, Ryan Coogler. Despite this the film garnered just one nomination, Sylvester Stallone for his supporting role as Rocky Balboa. Actors Will Smith and Idris Elba also received Golden Globe nominations but were overlooked by the Academy. Another film led by black actors is Straight Outta Compton, a film about the rap group NWA. The film received one nomination for Best Adapted Screenplay, the writers in question are white. Last year’s nominations provoked a greater backlash when the Martin Luther King biopic Selma received just two nominations, none in any acting category. In that sense, this year may not be seen as being as egregious in its omission of black filmmakers, but will be viewed as proof that no progress has been made to improve Hollywood’s inclusivity. Nominations and winners of Academy Awards are chosen and selected by members of the Academy of Motion Picture Arts and Sciences. A study by the LA Times in 2012 found that Oscar voters who choose the nominees were 94% white. This year’s Oscars ceremony will be presented by comedian Chris Rock, prompting this graphic that has been shared widely. Email “Same snub, different year: #OscarsSoWhite is trending again as black actors are left out”. Feedback on “Same snub, different year: #OscarsSoWhite is trending again as black actors are left out”.